Precision Sewing – Use It For The Best Results! 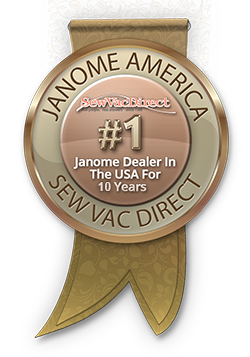 Home/Sewing Machines/Precision Sewing – Use It For The Best Results! Developing the skills necessary to sew beautiful and professional-looking clothing and other items with sewing machines takes some time. Sewing is definitely a "practice makes perfect" hobby and one that requires a lot of attention to detail. When you pay the proper attention to all the little details and use some precision sewing techniques, you can get amazing results with Juki sewing machines like the Juki HZL-F300. Improve your skills and your projects by incorporating these simple, yet effective techniques into your sewing. Know What You're Measuring - You can only do precise measuring if you understand your pattern and know what you're actually measuring. Learn the skill of pattern reading and what all the lines and symbols mean. Take your time reading each pattern so you understand your cuts before you make them and how your item will stitched together. Use the Right Tools - There are all kinds oft sewing rulers, gauges, and measuring tools are there for a reason. Skip the eyeballing and invest in the right measuring tool so your measurements are precise. Check it Twice - A huge reason for poor fit, wasted fabric, and the stitching mistakes made when making clothing and other items using personal sewing machines like the Juki HZL-F300 is poor measurement. You can greatly reduce the number of cutting mistakes you make by measuring once, stepping away for a few moments, and measuring again to make sure you get it right. Once you've cut the fabric, there’s no going back. Another problem with eyeballing when sewing items that demand a high degree of precision is that it commonly results in inaccurate or crooked stitching lines. Straight seams and stitch lines are a sign of quality and skill. No matter how well you eyeball stitching lines before stitching them, this technique will always present a degree of inaccuracy. When straight lines really count, the best way to get them is by needle marking your fabric to make the press line as opposed to relying on eyeballing or even measuring and marking along the edges. Needle marking with Juki sewing machines is simple and may even be quicker than trying to eyeball, fold, and press. Just put your fabric on the machine with your presser foot set to the right allowance width and sew in a long stitch all the way around the fabric where you need to sew it. Then press your edges over using the stitches as your pressing guide. Press so the actual stitch line ends up just slightly on the wrong side. Once you go back and put in the actual stitches with the right size stitch, you'll get perfectly straight lines without seeing your alignment stitches. No one will ever know that a factory machine didn't do it. For garments and other items requiring precision to look their best when sewn on domestic sewing machines like the Juki HZL-F300, the little details are essential. Two critical details that can make the difference between getting professional results or an amateur look are proper measuring and straight stitching. Make these techniques a part of your skillset so you'll always get great results with Juki sewing machines and any others you may work with!